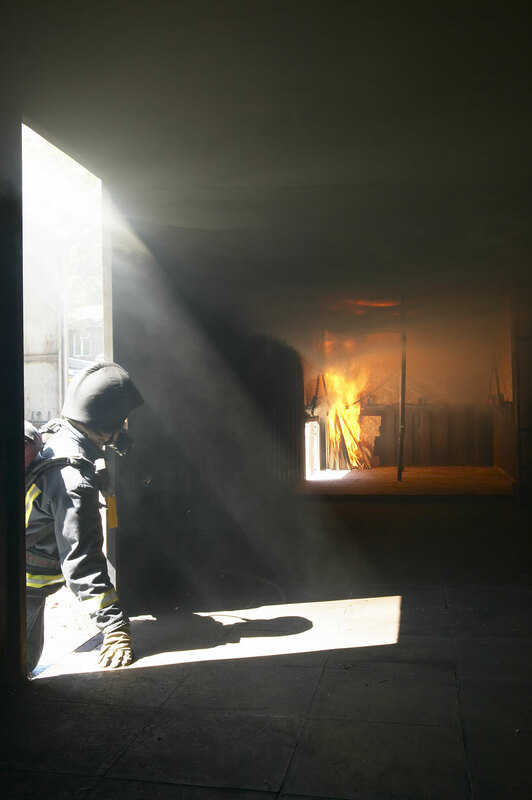 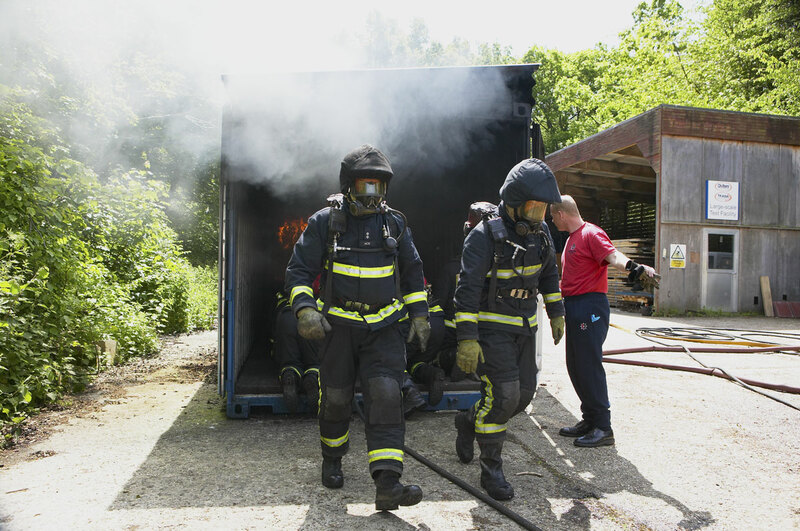 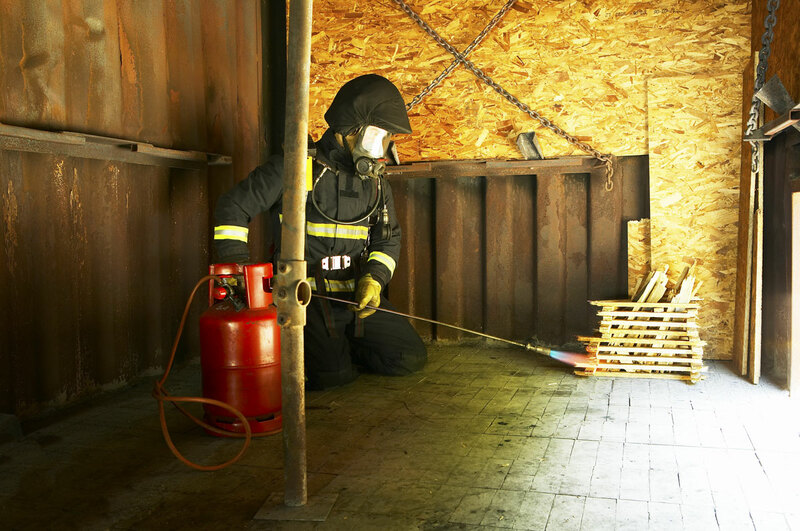 Buckinghamshire Fire Service have a continuous commitment to skills training and use firebox training as a way to develop familiarity with the effects of fire and just as importantly smoke in confined spaces. 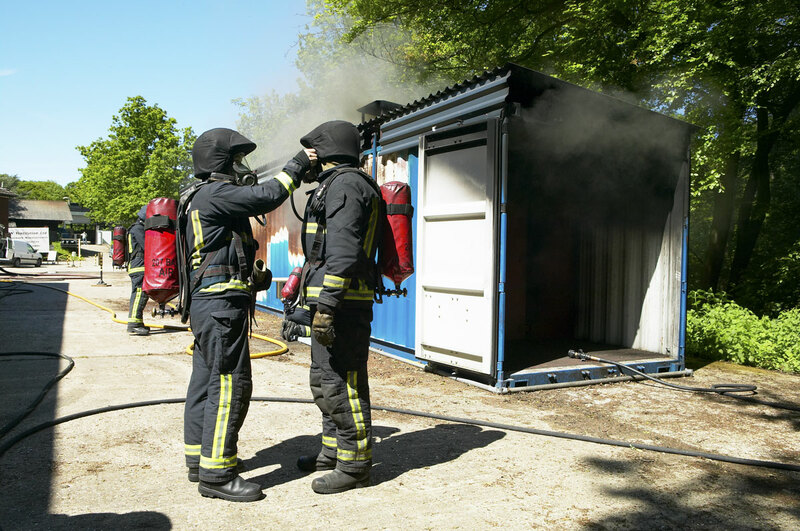 Controlled spaces are created using shipping containers and wooden contruction panels are used as the combustible material. 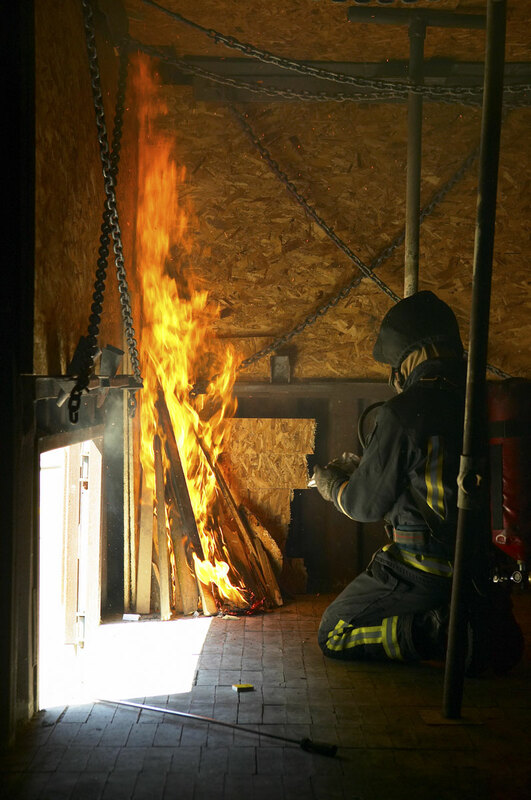 The firebox quickly creates a practical demonstration of the effects of choking smoke that fills the space gradually from the ceiling down. 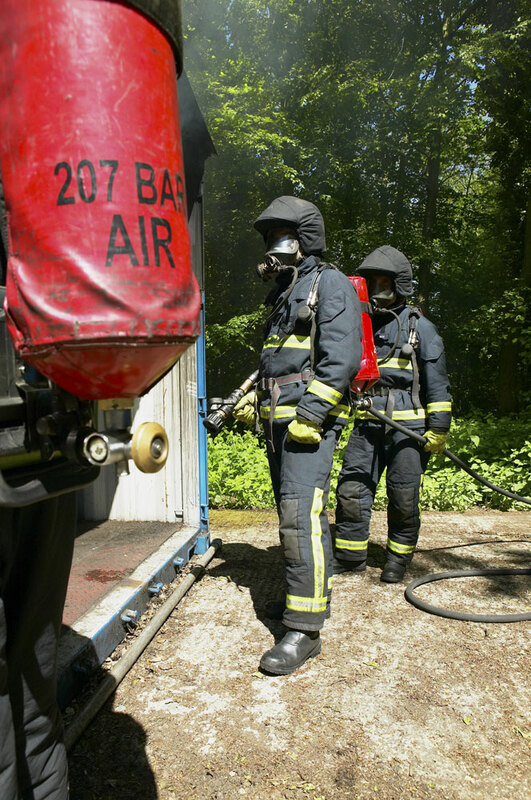 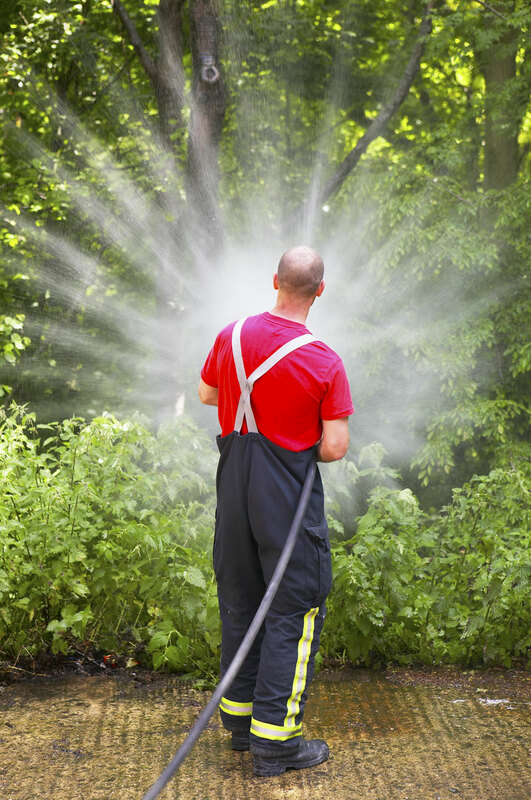 Respiration equipment is used by the Fire Service team and it is the speed that a space can fill and the lack of visibility that the officers become accustomed to.